S.T.A.R.S. 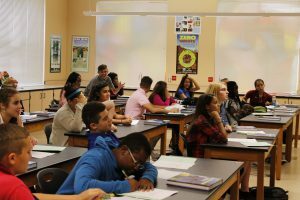 (“Students Transitioning & Aspiring to Reach Success”) Academy is the Freshman body of Treasure Coast High School in Port St. Lucie, Florida. Our Academy prepares our students for success before, during and after their transition into high school. It is a personalized nurturing educational environment that combines innovative teaching strategies, leadership development, and enhanced parent communication to motivate academic achievement through personal success. 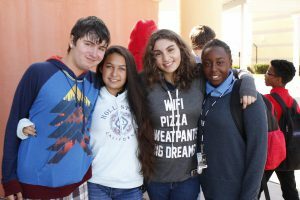 Our mission is to provide students with the opportunity to successfully transition into high school and aspire to reach success in a safe learning environment. Our mission is to create a learning environment where students feel free to express their thoughts, ideas, and opinions, with the purpose of developing a strong sense of inner self, in order to assist each student with career choice and direction. Develop a welcome atmosphere to assist with the high school transition. Centralize all orientation issues through Freshman Seminar. Assist students in developing a strong sense of self-awareness and future lifestyle choices. Learn how to budget around one’s lifestyle. Make connections between lifestyle and career choices. Through research, attach educational needs to career choices. Introduce students to TCHS academies/majors. Assist students in making a “best-fit” academy choice. Assist students in developing a four year plan with a major area of study. Educate students in the areas of workplace law discrimination, gender bias, and the benefits of choosing a healthy lifestyle.